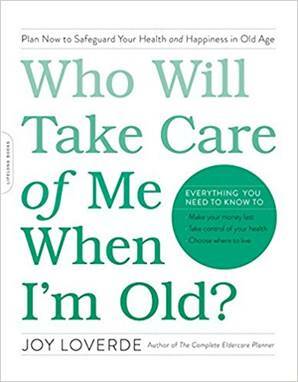 A Guidebook to Planning for Old Age – Kathleen A. Browning Sheridan, Esq., P.C. Joy Loverde. Who Will Take Care of Me When I’m Old? Plan Now to Safeguard Your Health and Happiness in Old Age. New York, NY: Da Capo Press, 2017. 313 pages.